On December 8th, MedPAC convened for a public meeting regarding payment adequacy and updates for home health care services. For the past several years, MedPAC has recommended deep rate cuts for home health services along with a series of policy changes ranging from the institution of copayments to program integrity measures. The 2017 report to Congress looks like a rerun of many of the past recommendations that have not been adopted by Congress. MedPAC staff reported that Medicare spent $18.1 billion on home health care services in 2015 (a slight increase over 2014), providing for approximately 6.6 million episodes of care to about 3.5 million beneficiaries. While there was a decrease in the number of Home Health Agencies (HHAs), 115 fewer in 2015, there are approximately 12,300 agencies currently in the market. The agencies closed in 2015 were mostly limited to certain geographic areas in Texas, Illinois, and Michigan, consistent with where there is thought to be an overload of providers and higher levels of fraud. Efforts by the Secretary of Health and Human Services, and the Attorney General through program integrity initiatives, are believed to have had an impact on reducing the number of fraudulent agencies. Overall, it was also noted that 99% of beneficiaries live in an area with a HHA. This is an important consideration as MedPAC aims to analyze payment rate sufficiency based on access to quality care. MedPAC presumes that rates are at least sufficient if care is widely accessible. As to rate sufficiency, MedPAC studies for 2015 show margins for free-standing providers at 15.6%, a significant increase since 2014 despite the 4.5% reduction in payment rates. As expected, MedPAC believes these margins to be excessive and that Medicare is overpaying for home care services. 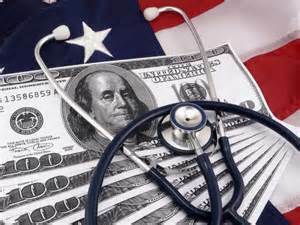 MedPAC believes these “overpayments” do not benefit taxpayers or home health beneficiaries. The MedPAC staff presentation to the commissioners also noted a continued rise in therapy visits as a contributing factor to overpayments. Currently, the number of therapy visits is used as a payment factor. MedPAC continues to express concern that this serves as an incentive to increase the number of therapy visits provided. Despite a slight decrease in number of episodes per beneficiary, a small increase in episode volume occurred as the result of an increase in the number of users of home health services. In recent years, the number of Medicare beneficiaries receiving home health services has stayed fairly stable, but there had been significant increases since the initiation of the prospective payment system in 2000 when there were 2.1 millions users.